Think Walt Disney World is just for younger kids? Think again! With just a little planning, Walt Disney World can be a fun experience for all your children, even your teenagers. We discovered some really fun activities that you must do with a teenager at Walt Disney World in Orlando, Florida. We all know the teenage years can be a bit awkward when traveling as a family. Your 13-year-old doesn’t want to participate in family activities, be in family photos, or much less, even crack a smile when on vacation. 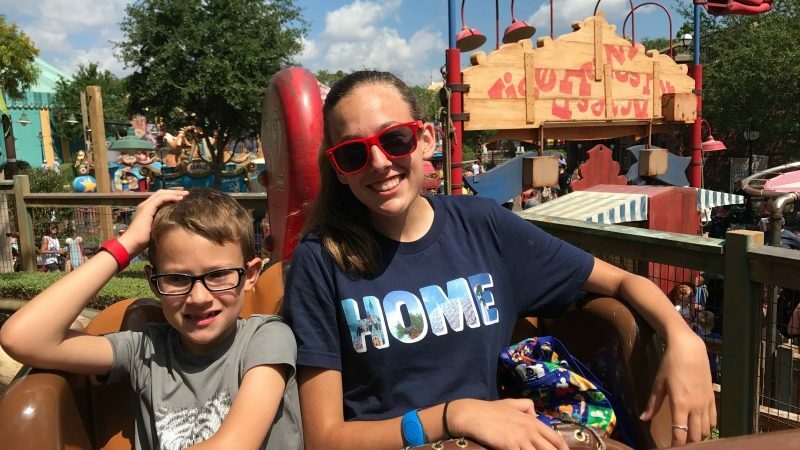 And when planning a trip to Walt Disney World, you might think it will be even harder to please your teenager, especially when they have younger siblings. Because let’s face it, what teenage boy wants to dine with the Beast at Be Our Guest or wait 30 minutes to meet the Disney princesses? We have traveled to Walt Disney World at all different ages with our children. And as much fun as Walt Disney World is to experience through your preschoolers’ eyes, it is just as exciting with a teenager. We have discovered some pretty fun attractions, activities, food, and more as our children have gotten older, things we couldn’t have when we were pushing them around in strollers when they were younger. 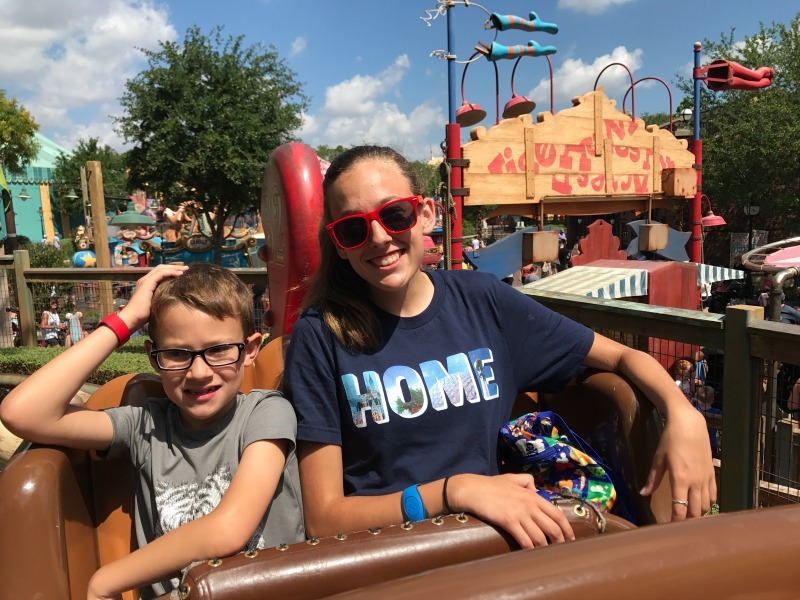 If you are on the fence about planning a vacation to Walt Disney World because you have teenagers, we hope the below list can help ease your anxiety and make it the best family vacation yet. 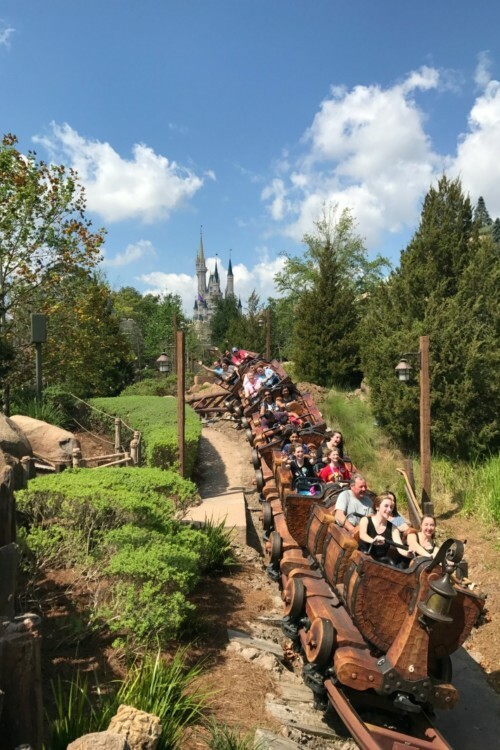 One goal my teenagers have on every trip to Walt Disney World is to ride each mountain in the Magic Kingdom – Space Mountain, Thunder Mountain Railroad, and Splash Mountain – in a row. It’s totally doable with a little planning (go early) and fast passes. Make it even more of a challenge by adding on Expedition Everest over in Disney’s Animal Kingdom! This one is pretty easy, as there are so many incredible snacks to choose from at Walt Disney World. 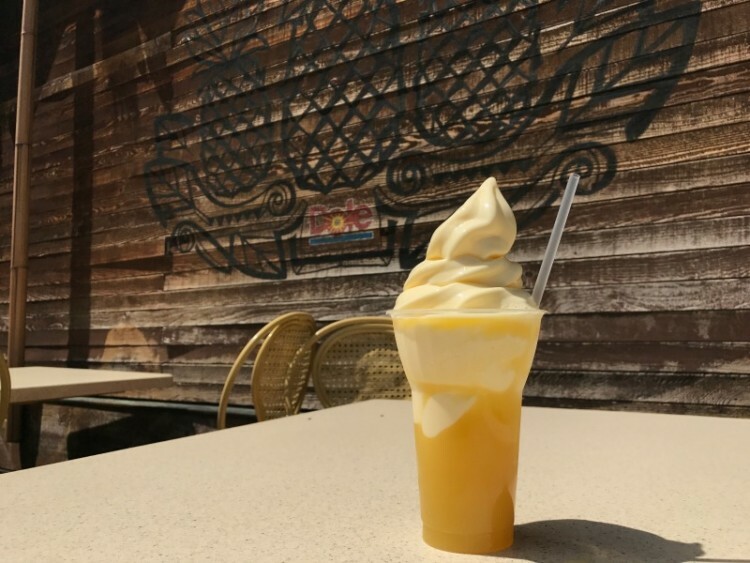 Our favorites are Mickey Bars and Dole Whips, both available at most of the parks. Also only found at WDW are Mickey pretzels and Mickey Caramel apples. We also argue that Disney churros are unlike no other churros. Also only found at WDW are Mickey pretzels and Mickey Caramel apples. We also argue that Disney churros are unlike no other churros. We have never saved our FastPasses for one of the nighttime shows at Walt Disney World until our last trip. 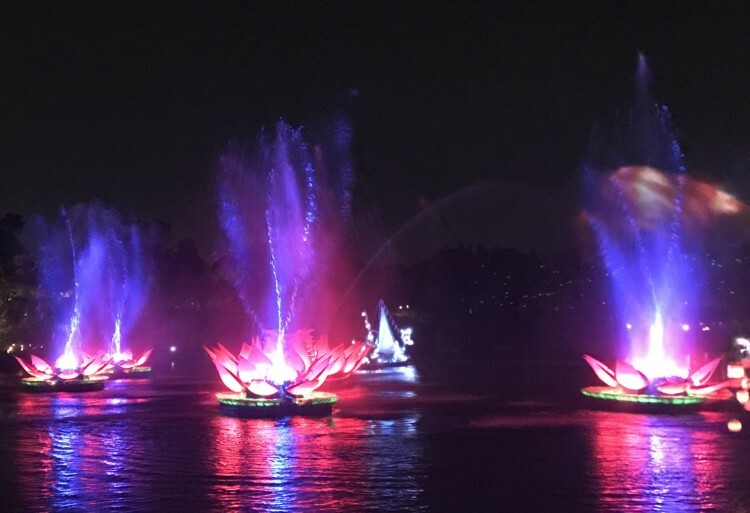 We really were excited to see the new Rivers of Light at Disney’s Animal Kingdom, so I secured a FastPass for it the day we planned to be in that park. And I realized that having a fast pass for a show was fantastic! We didn’t have to wait in a line, showed up about 30 minutes before the show started and had fantastic seats. All the Nighttime shows have FastPass areas, but know that you will be giving up your change to get additional fast passes for that day as your FastPass won’t be redeemed until the end of the day. Some of our funniest memories of character experiences have been when we met the ones that can talk with you. Just do a YouTube search with Gaston or Cinderella’s Wicked Stepsisters and you will see how much fun they can be. Take it up a notch and make a fun video with them. But keep in mind, when you interact with them, they will only speak to you in character at their location. I once made the mistake of asking Chewbacca if we should come back to the Magic Kingdom and he just looked at me. His handler explained that he didn’t know where the “Magic Kingdom” was as we were aboard a spaceship way out in the Galaxy. But keep in mind, when you interact with them, they will only speak to you in character at their location. I once made the mistake of asking Chewbacca if we should come back to the Magic Kingdom, and he just looked at me. His handler explained that he didn’t know where the “Magic Kingdom” was as we were aboard a spaceship way out in the Galaxy. For your teens who don’t really want to do “It’s a Small World” again, challenge them to find the Hidden Mickeys. We have a fun app, Hidden Mickeys-Walt Disney World, that gives hints as were to find some really hard ones all over the parks & resorts. This is a fairly new trend that most teenagers will know about. The Purple Wall in Tomorrowland (around the corner from Monster’s Inc Laugh Floor) is a popular place to take photos as it creates a really fun and creative background. There are also several brightly-colored walls at the POP Century Resort that are popular for photo-taking as well. On a hot day, the Coca-Cola Cool Club in Epcot is a great spot to cool off and get a drink. You can taste colas from around the world, even the most disliked flavor, the bitter-tasting Beverly. Just don’t tell your teen it’s bitter and get ready with the camera! 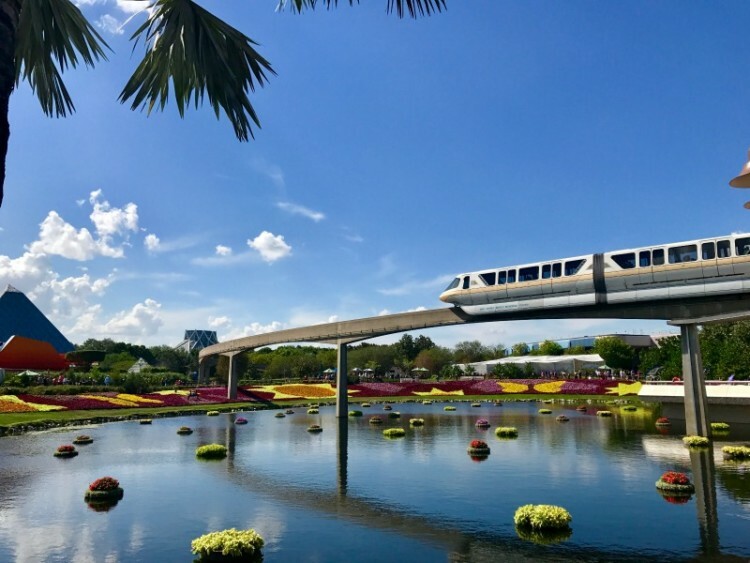 There are several different ways to get around Walt Disney World, so try to mix it up when going from park to park or even resort to park. Sure the bus is easy, but the monorail and the boats are way more fun. Hop on the Walt Disney World Railroad or take a one-way trip in a turn-of-the-century vehicle down Main Street in Magic Kingdom. And take a look at the amphibious vehicles you can ride at Disney Springs. So many fun ways to get around Walt Disney World! Each trip to Walt Disney World, we have made dining reservations at a restaurant in Epcot. These meals have always been our favorite meals, as we have dined in France, Japan, and Italy so far, and the food has been phenomenal. The wait staff is from the country they work in, so we have so much fun learning about them and their culture. My teens still talk about our waiters to this day. If you can’t get dining reservations, challenge your teen to try a different food in each country as you walk around the World Showcase. We tried this last year and enjoyed macrons in France, Bavarian pretzels in Germany, and more! Nothing is more thrilling than riding in the front row of a roller coaster. And if you ask a Cast Member, they will happily put you in the line for the front and back rows with little wait. Teens love to be goofy – no they really do! Mine love to plan silly photos on rides. When you know where the camera is, you can be pretty creative with your shots. We like to sleep on Space Mountain and dab on Aerosmith’s Rock ‘N’ Roller Coaster. And if you get the Memory Maker package, you have access to all these fun photos to download. With the redevelopment of Disney Springs, formally known as Downtown Disney, there are some really cool shops that you can’t find at home. We recommend planning at least half a day to shop with your teen in this area. 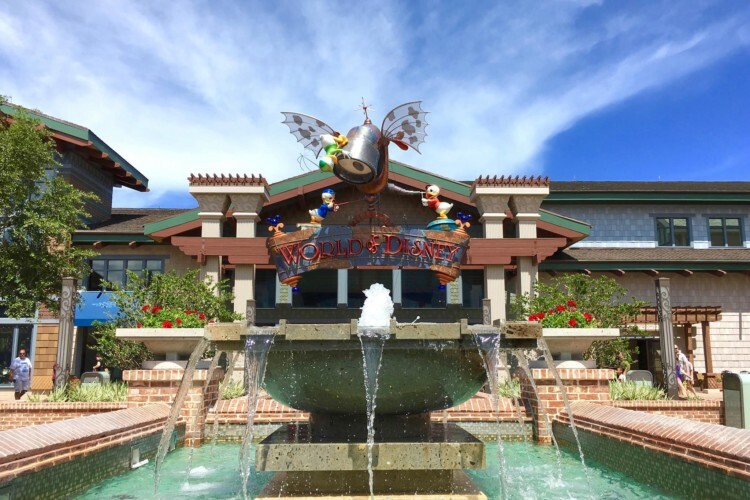 And we discovered some fun budgeting tips for shopping at Disney Springs. You haven’t fully experienced the Magic Kingdom until you have closed the park down. Stay for the Cinderella Castle’s Kiss Goodnight (a half-hour after the park closes), and walk out the gates as late as they stay open. We have memories of that being 1:30 am!! So you see, a trip to Walt Disney World with teens can be really fun! What tips or ideas did you enjoy with your teen? Share with us in the comments below. All good suggestions. While my younger daughter and I have had very good times together just the two of us together, some of our best Disney memories are when she was able to bring her best friend with us. She is more outgoing and enjoys faster rides, taking mine out of her comfort zone, while my daughter’s appreciation for the Epcot restaurants, shops and Disney animatronic shows have helped her BF to slow down a bit and savor other things. Although we no longer live in Florida, we are going to Disney again at Easter and picking up her friend in Miami so she can come with us. I’m happy they can continue to bond over Disney. And yes, teens do bring a whole new way of having fun at the parks. You may have moments of nostalgia remembering things you did when they were little, but then they will surprise you by buying a yummy treat with their own spending money and a new memory is made.